You want to propose our romantic surprises to your customers? our solution 100% free and without commitment. Choose with us the romantic surprises that suit you. Integrate the packages into your email prestay solution. 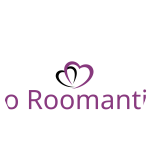 SoRoomantic manage the purchases and the delivery for each order. We charge you after the guest checkout. Contact us for any other area than Paris.